April-June GDP is at 5.5%, one of the lowest in recent times. This, coupled with LS logjam, policy paralysis and RBI's view that some scarifies in growth is required to contain inflation had negative sentiments on the markets. The benchmark indices which opened weak in the morning gained momentum and NIFTY lost 56 points where as Sensex lost 161 points. This week NIFTY has lost 129 points. Except yesterday, indices closed in red in all other trading days. Hero MotoCorp lost Rs 71 and closed at Rs 1752, largely due to unwinding of positions on account of down grading of the stock by two leading investment houses. The stock is just Rs 48 away from 52 week low. BPCL lost around 4%, closed at Rs 332, new low. Similarly Hindalco too touched new 52 week low of Rs 102, before closing at Rs 104. CIPLA and HDFC gained 1% each and closed at new one year high. Hero MotoCorp is in reverse gear in exchanges in the last couple of trading sessions. In the lost one month the stock has lost 13% and YoY basis has lost 15%. Recently two leading investment houses HSBC and Credit Suisse have down graded the stock to neutral from out-performer. The target too has been reduced to Rs 1930 and to Rs 2056 by them respectively. This is largely due to slow down in the economy which is impacting the sales apart from severe competition. The stock which lost Rs 71today closed at Rs 1752 and trading at 14PE. GDP for the April-June quarter was better-than-expected at 5.5%. Analysts and leading business news channels were expecting a GDP growth around 5.2%. However this better than expected numbers has failed to infuse fire in to the market. Supreme Court has ordered the Sahara group to refund Rs 18000cr it had raised from millions of small investors, with 15% interest. Two unlisted group companies of Sahara, had between 2008 and 2011 raised a total of Rs 18000cr from millions of investors through OFCD. SEBI last year ordered the group companies to refund the money, with 15% annual interest, after it found that the fund-raising process did not comply with rules. An appellate tribunal upheld the regulator's order after hearing Sahara's appeal. Now SC has reaffirmed the SEBI order. As expected markets have opened weak. Other Asian markets too are moderately trading lower. Markets in U S and Europe yesterday closed a tad lower. All these weighed in favour of weak opening. However indices are expected to recover later. Today being the first day of Sept futures and option series and FIIs have been continuously net buyers in cash market for the last couple of weeks, may lend support for positive closing. HDFC, CIPLA, Grasim and Rel infra are the major gainers among NIFTY stocks. Metal. Pharma, I T, Bank and Auto stocks are trading in red zone. 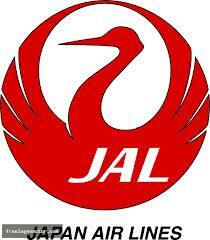 Japan Airlines, the flag carrier of Japan plans to re-list shares in Tokyo Exchange in Sept. The air line had filed bankruptcy protection in 2010 after it incurred huge losses, with $25 billion in debt. Now the airline has plans to Raise $8.4 billion (Rs 4, 70,400cr), in the price band of Rs 2476 – 2682. This IPO will be world’s second largest after Facebook. The listing will allow a state-backed fund to exit its investment in the former national flag carrier with handsome profit. There are many lessons to be learnt from JAL's rebound story by our beleaguered Mallya's KFA and national carrier Air India. London head quartered, multinational banking and financial services company has named Antony Jenkins as its CEO. Recently, Robert E. Diamond its chief executive had to resign due to rate manipulation scandal. Barclays agreed to pay $450 million to settle accusations by American and British authorities that it attempted to manipulate the London interbank offered rate, a key benchmark. After bombing the government in coal block allocation, CAG has sent another missile to government. To protect consumers from unscrupulous Jewellers, the CAG has advised the government to enforce compulsory hallmarking of gold jewellery. Hallmarking is voluntary at present, is a purity certification of the precious metal. The Bureau of Indian Standards (BIS), is the administrative authority of hallmarking. Bhupathi and Bopanna of India lost to Australia's Bernard Tomic and Matthew Ebden 3-6, 6-7, closing the door for themselves from the last Grand Slam of the year. NIFTY which was down 20 points in the morning has recovered and now trading in green zone. In the morning analysis we had indicated that once the trading related to squaring off positions are completed, markets will recover. As of now NIFTY is up 30 points. Chennai based Thejo Engineering will be entering the capital market on September 4 for raising up to Rs 21 crore through an initial public offerings. The IPO closes on 09-09-12. This will be the first company to be listed on the small and medium enterprises exchange platform of the National Stock Exchange, EMERGE. The ten rupee face value shares will be offered in the price band of Rs 402-430. IDBI Capital markets are the sole BRLM. Cameo Corporate Services are the registrar to the Issue. 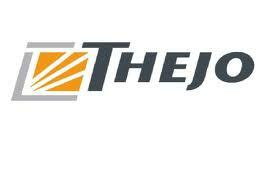 Thejo Engineering, promoted by K J Joseph and Thomas John, is an engineering solutions provider for bulk material handling, mineral processing and corrosion protection to the core sector industries like mining, power, steel, cement, ports, fertilizers etc. 5. Investment in an Australian Subsidiary. However the project has not been apprised by any bank. On a standalone basis, the company’s total revenue touched Rs 117.86 crore for the year ended March 31, 2012 as against Rs 96.20 crore in FY 2010-11 and Rs 65.96 crore for FY 2009-10. The profits after tax for the corresponding periods was Rs 9.02 crore, Rs 3.83 crore and Rs 2.27 crore, respectively. Over FY09-10 to FY11-12, revenue has grown at a CAGR of 34% and EBIDTA at 46%. EPS for the last three years were at Rs 21, Rs 32 and Rs 76 respectively. As a manufacturing business, the success depends on the smooth supply and transportation of the products. Supply chain and transportation are subject to various uncertainties. Any disruption in this segment may affect the operations of the company. Thejo had experienced negative cash flows in the past. The company has not made provisions amounting to Rs 325 lacs in respect of claims against the company from Central / Sales tax / others. Thejo, post issue will have equity around Rs 170lacs. The Company, basing on the previous year’s CAGR, may report a profit around Rs 12cr for FY13. This gives an EPS of Rs 70, on the expanded capital base. At the upper price band the IPO is valued around 7 times its FY 13 earnings. The company has niche market for its products and services. The proposed expansion will add value and generate additional revenues in the coming years. The small equity base and growth potential makes the IPO attractive. Invest for listing gains as well for long term. Benchmark indices Sensex and NIFTY opened lower on future & options expiry day. Markets are likely to recover once the positions in futures & options are squared off. Yesterday's laggard J P Associates lost another 4% in today's early trade. Bank, auto, infra and metal stocks have lost further ground. Among NIFTY, Tata Power is the only stock which gained more than 1%. The Rs 500cr fund raising programme of India Infoline Finance, a subsidiary of India Infoline has rated as stable by both CRISIL &ICRA, indicating high degree of safety. The other features of unsecured and redeemable debentures are indicated in the box below. Chennai based Thejo Engineering will be entering the capital market on September 4 for raising up to Rs 21 crore through an initial public offerings, through book building process. The IPO will have price band of Rs 402-430. IDBI Capital Markets are the BRLM. NIFTY has lost 130 points in the last 4 trading days. Today it closed below 5300 level at 5286. JP Associates lost almost ten percent and closed at Rs 63.70. TCS touched new high of Rs 1358 and settled down at Rs 1345. Thirty six out of 50 NIFTY stocks closed in red. Metal, bank and auto stocks were the hardest hit. More than fundamentals it is the politics that is haunting the stock market. FIIs net bought to the extent of Rs 143cr in cash market. Once favourate of traders and retail investors, Hindalco, Bharti Airtel, Rcom and Punjab National Bank has touched 52 week low in today's trade. Market cap of the troubled telecom company of ADAG has come down below Rs 10,000cr. The stock is down 5 odd percent in today's trade. At Rs 48.20 the market of the company is just Rs 9948cr (full float). In July 2007, Reliance Communications was at the fifth spot in terms of full market capitalisation. The market capitalisation of RCom as on 5th July 2007 was at Rs. 1,10,807 crore. It was followed by Infosys at Rs. 110,417 crore and TCS at Rs. 1,09,335 crore. Bajaj Finserve rights issue will be at Rs 650. The stock is trading around Rs 780, down Rs 15, in today's trade. The company will be offering one equity shares for every ten shares held as on record date. Around Rs 950cr is likely to be mobilized from rights issue. Supreme Court has up held the death penalty for 26/11 convict Ajmal Kasab. Opto Circuits shares are down 6% and touched new 52 week low of Rs 115. The stock has lost nearly 40% since ICRA has withdrawn its ratings to one of the fund raising programme of the company. The company has appointed CRISIL recently to carry out rating related assignments. KFA pilots based in Mumbai have decided to strike work indefinitely from Wednesday over non-payment of salaries. Mallya recently donated a 2.5 kg gold plated doors to a temple in Subramanya. KFA shares currently down 2% and trading at Rs 8.45. Money spent on gold doors could have been used to make part payment to KFA pilots. Markets in Asia up marginally, except Jakarta Composite and Hang Seng. NIFTY is down 15 points. Our markets likely to remain volatile ahead of future and options expiry on Thursday. Tata Power and Jindal Steel up 1% in the early trade. JP Associates lost 7%, with huge volume and trading around Rs 65. IPOs have to be listed within 7 days, from the closure of the issue, henceforth. Currently time limit given by SEBI is 12 days. Subscription to IPOs will be accepted electronically by brokers nationwide. SEBI is likely to notify the new guidelines shortly. As a part of surveillance measure BSE has shifted 74 stocks to trade for trade group. Among others the scrips include SKS Micro, Wockhardt and Reliance broadcast. Share prices of these companies are known for manipulation.SKS lost 8% yesterday and closed at Rs 110. Firstchoiceipo had predicted in 2011 itself one day SKS Micro will move to T group. Labels: reliance broadcast, wockhardt and sks micro in t group. NSE NEWS: SHIFTING OF SECURITIES BACK TO ROLLING SETTLEMENT. The following securities shall be shifted back from Trade for Trade segment to rolling segment with effect from August 31, 2012 at the existing price bands. Labels: NSE NEWS: SHIFTING OF SECURITIES BACK TO ROLLING SETTLEMENT. The share price of four leading public sector banks have touched new 52 week low. Among others, slow growth and alarmingly increasing NPAs are attributed as the reasons. Also joined the list are Adani Enterprises, Adani Power, Hindalco, Jindal Steel, R Comm and Suzlon. SBI URGES FOR CRR LESS REGIME.